After selecting apparels and shoes, grocery, fixing online salons and spa booking and much more, now cure psychological issues online. 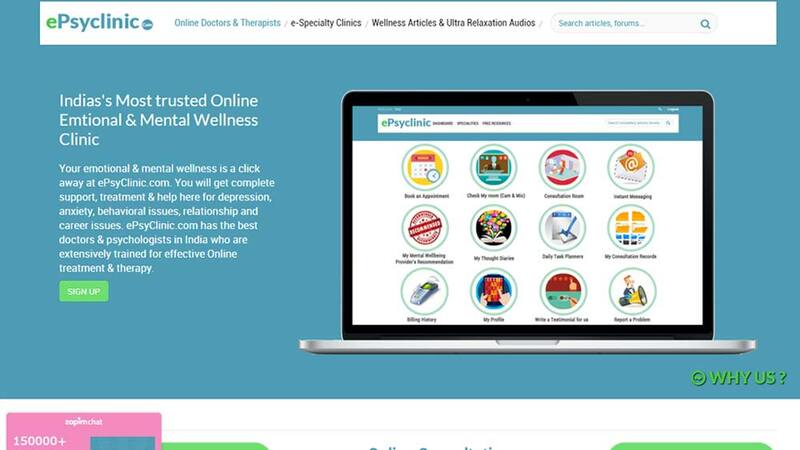 ePsyClinic.com, an online platform has come up with an exclusive concept of providing mental and emotional wellness to people via world-class therapies,psychiatric treatments and counselling services. The digital platform offers consultation for all kinds of emotional or mental stress in the comfort of homes or offices, that too in complete privacy. The objective of ePsyClinic is to envisage Triple A Plan that focuses on making mental healthcare services ‘Acceptable, Accountable and Accessible’ to every Indian, who needs it but is shy to share. At present, ePsyClinic offers services in four categories including Age Group, Life Stage, Personal Context and Debilitating Issues. These services are provided across a spectrum of 12 specialities viz. Children & Adolescents, Young Adults, Elderly, Pregnancy & Post-Pregnancy, Family & Relationships, Effective Parenting, Sexuality, Lifestyle, Professional Wellness, Health issues & Caregivers, Psychological Issues and Addiction. The web platform is roping-in various globally renowned psychological consultants and experts, embracing world-renowned technologies at great speed, to make ePsyClinic the one-stop destination for people seeking assistance to deal with stress, depression, anxiety or any other psychological issue. The web platform is targeting working professionals, nuclear families residing in tier I and II cities, expecting and working women and Indian expats. BBLUNT launches Hero Styling Range..